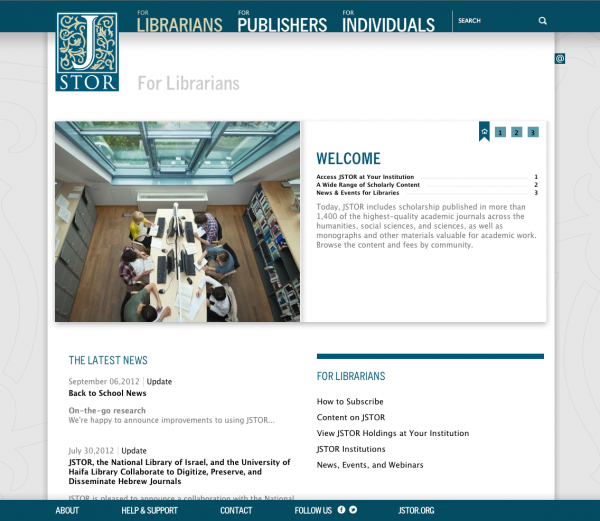 Longtime client ITHAKA came to us to revamp the marketing site for JSTOR, the arm of their nonprofit organization that maintains an exhaustive archive of academic journals and articles for research and distribution. This new multipurpose portal assists their online marketing division, providing archived content to publishers, librarians and individuals. Color-coded portals for JSTOR's three principal client categories guide users effortlessly through the site, while hover-over menus and pop-ups streamline browsing. 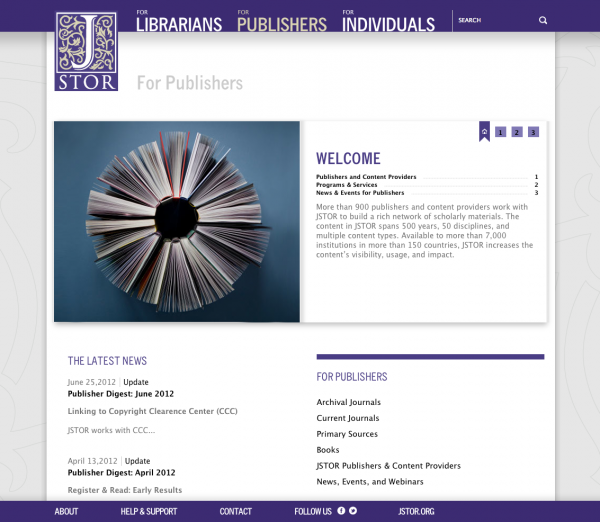 The "Content on JSTOR" section breaks down the wealth of information JSTOR makes available, based on the user's categorization as an institution, their geographic location, and content type, and then by quickly denotes how to subscribe to the material based on specific parameters. Collections available for subscription are made my digestable by breaking down to the title lists and the journals pertinent information. 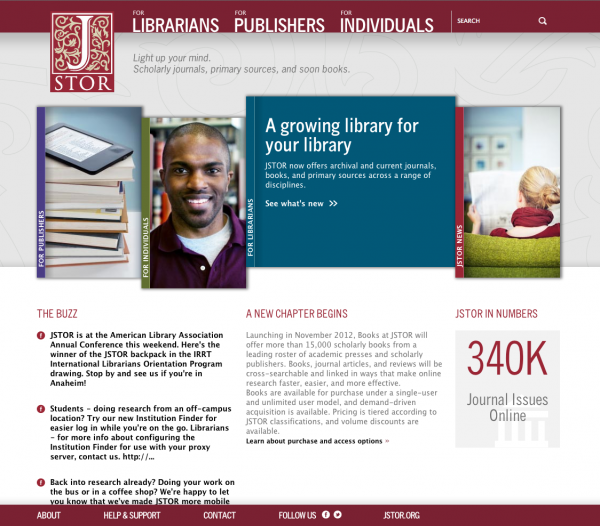 Visit JSTOR's website .